The Love Shaker is the perfect gift and the perfect way to share LOVE with everything and everyone in your life. It adds the secret ingredient of love to enhance your food, lift your mood and brighten any celebration! The Love Shaker is a delightfully decorated ceramic container magically filled with a lifetime of LOVE. Simply shake the Love Shaker over and around anything or anyone that needs LOVE. It makes a gentle shaking sound as it shares the wonderful energy of LOVE with everything and everyone around it! You might use your love shaker when cooking, or at the dinner table to spice your food with love. My family now has salt, pepper and LOVE on the kitchen table. It’s fun to hear someone say ‘Please pass the Love’ at a family meal. Adding the secret ingredient of love makes every meal taste better, look better and even feel better in your tummy. You can use your love shaker to lift your mood– whether it’s quelling an argument, relieving computer craziness or road rage, soothing a boo-boo, a tummy ache, a heart-ache or a head ache. The Love Shaker can change a sour mood or feeling to sweetness and laughter. Your kids will love it! 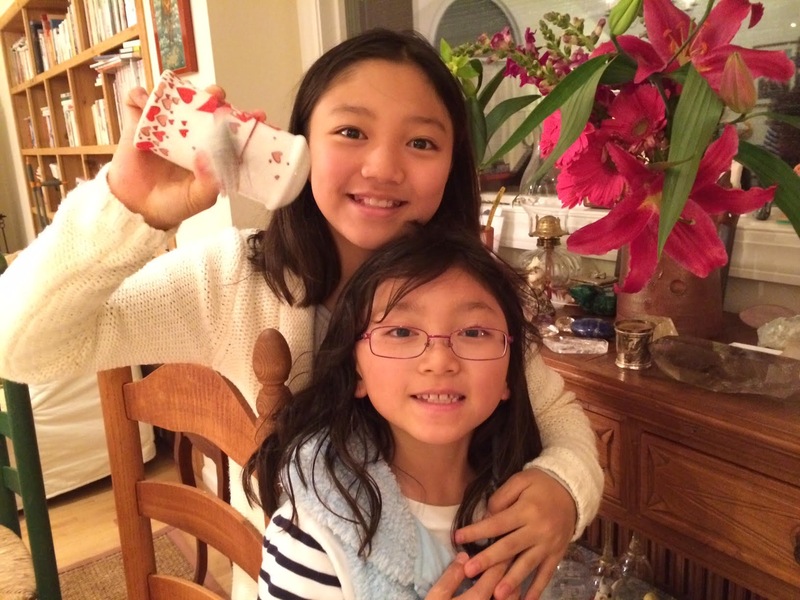 Kids understand the magic of the Love Shaker and how to use it right away. You can shake love on their pillow for a good night sleep and sweet dreams. Shake under the bed or closet to chase away the Boogie Monster. Add love to a fun filled bath. Shake love on your baby’s bottom when changing a diaper. 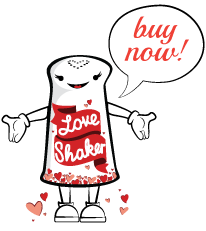 The Love Shaker is like a kid’s magic friend that can transform chores into play and saves the day. Bring your Love Shaker wherever you go, and you can magically add more love to your life! Here are some of the ways to share your Love Shaker. Made housewarming parties much warmer. Lifted sour moods at work and home. Added Love to pregnant mom tummies at baby showers. Brought joy to hospital rooms. Added love to our pets. Helped folks have sweet dreams. Added love and laughter to birthdays and anniversaries. Blessed newly weds as they walked down the aisle! … and the wonderful list goes on! We’d love to hear how you are sharing your Love Shaker with the world!